It’s a color I’ve always loved, maybe because red looks particularly good in blondes, which I am, but it also looks good in brunettes. Coincidence or not I think people use more red in Christmas time. The colors of the season may definitely affect our mood when choosing garments. 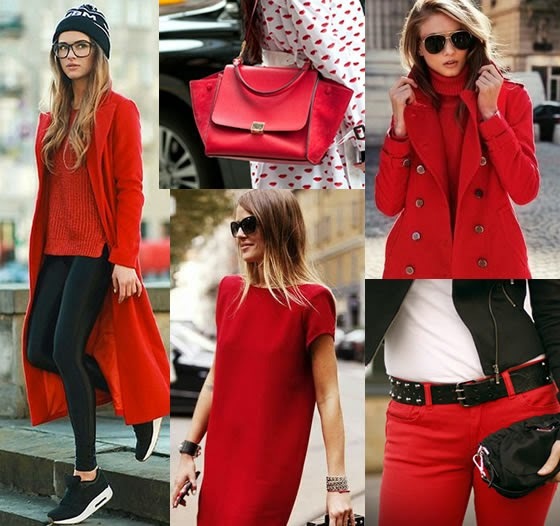 So, no matter if it’s a coat, a nice sweater, a pair of stilettos or just a statement necklace, red is for sure a color we shouldn’t miss in our closet. 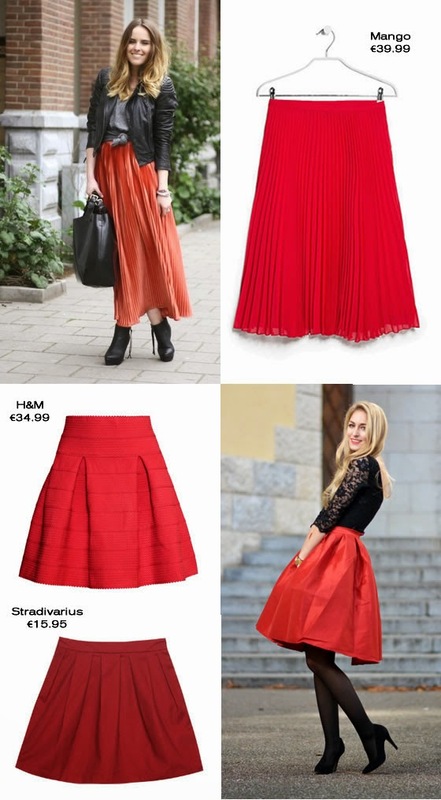 Check my selection of red as well as some curiosities I found about this color. The red leather pants and highheels are stunning!! Thx so much for your support! Adorei as saias e o colar da H&M. Amei, vermelho é a minha cor favorita mas acho dificil encontraruma boa peça vermelha, pelo menos para mim. Me encanta el rojo. Tengo muchisimas prendas de este color solamente me falta el abrigo. Un beso. Loving those red skirts!! Fab picks, thanks for the inspiration!!! Are you interested in we promoting each other blog to win more and more followers? ?